"Vroom...... Now here I go past that car...FIRST !!! ", I boasted triumphly !! "Stop that here and NOW !!. Do you get that ". A voice came from no where. "Who's that ? " Surprised, Amused and confessedly horrified, I slowed my car. A snook on the left, a snook on the right and realized that it was the panel ! A SPEAKING AUDIO PANEL ??? The Audio Panel, that had played the Pacy beats all through, had just come to LIFE ! Central Locked. Middle of Highway. Pity dear. Dear me !! "You head slow, you get that. and Listen to what I say....", The car's audio panel instructed further. "List...en..., I mean ok.. But even if you are some Aladdin, I am for sure not your Jin..". That's what I had thought. "You need to have some senses , look how you overtook that car ?? Wrong Side. Without Dippers!" " Need for Senses. How does that boot? and Memory space ?? Version : Underground or Most wanted ?..Like me, for many in my generation, motor cars were meant only for racing ". "But after reading an article (of course for the exam...) on how badly India was affected from road accidents, I'd realized that real driving is not as forgiving as the gaming console. No rebirths for the Driver. None for the pedestrians. Period." "Yes, it's need for reflexes, and not need for speed on the real road." The voice whispered. "That's not fair. You are spying on my thoughts too !!" I protested. "At times, loud thoughts are as irritating as loud horns !!". The voice giggled. Damn... My Breath got struck in the traffic jam of the horror, reprimand and that feeling of being convicted. But, the question still was .... Alright, some voice was talking to me. But ,Why Me ?? "The reason for your Why me answers are not on the Page 3 dear. Fatalities. Accidents. Innocents losing their lives. All because of unsafe driving. " Importantly. Almost all of them, avoidable. These news are not on Page 3 and that precisely the reason you don't get your answers." The Voice from the Panel summoned. Prophecy Personified. Rather, Prophecy Panelized. And suddenly the series of flat pitch horns of obscure intensities started banging me to dizziness. It later occurred that the Panel had played them all along to make me understand the reason for minimal usage of horn. "A horn is a lot more than just the bullets from the pistol. And....Newspapers are a lot more than the Page3 stuff." Horns subsided. Sanity Prevailed.Lessons learnt. Realization through a Lamborgini (the way I used to call my car), if not Lumbini, I Echoed. "Right, but have you ever thought that the safety of the fellow motorists and pedestrians lay on you as much as on themselves.". The guiding voice's riding comments hit pillion. "I did", I said, "When I read that many young kids lose their lives due to lack of child restraint and unsafe driving." Recounting on a news item in the TV last night. "I like your empathetic approach . 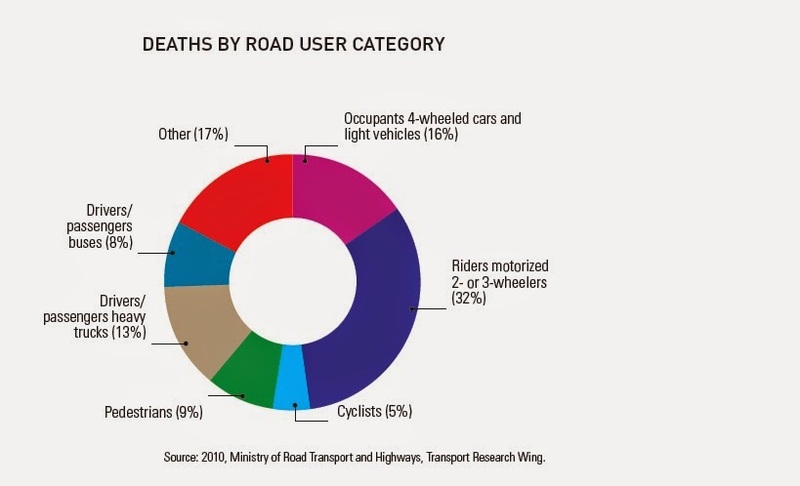 But what's your take on the fact that around 5 lakh road accidents happen annually, and the reported death toll is 1.4 lakh in our country, mostly because of casual drivers like you." The Voice cautioned. "The government is planning to legislate a bill on Road Transport and Safety soon." I contested, " and that, would take care of lot of issues like..Drunk and Rash Driving, Imposition of Penalties harmonization of licenses etc.". Taking forward the conversation I had heard in a news item. "Indeed, but have you ever realized that safe habits have to begin from you." . The voice chimed. "Yes, For a moment during this 'empanelled' discussion, I did". Thoughts prevailed. This panel thing was making me think that cars were beyond racing, and pedestrians beyond bots. "..And that your endeavours for nation building can also begin through safe driving...". "Nation Building... and .... Safe Driving... But how? " I blurted. 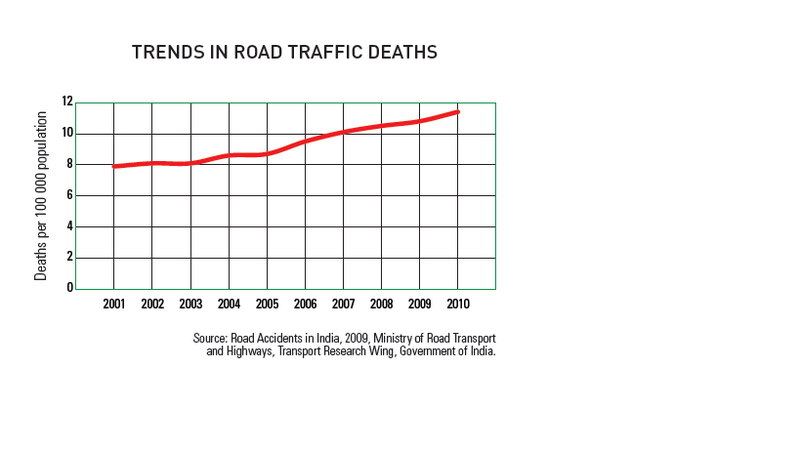 "According to a WHO report, India loses 3% of GDP because of road traffic crashes. If that minimizes , with our economic base, this would translate into an astonishing amount !. " The voice prevailed. It was prevailing all the way ! "Ok...Now I get the point that for inculcating safe habits of driving. I indeed am the starting point." (My driving or the sibling fights as a child alike!!) Reflections came upon, almost concurrently. "Yes, and the state plays a role too." I added. "...Role yes.. Role through progressive laws, strict execution, Infrastructure, Public Transport, Accountability." They set the framework, concluded the mythical voice. "Forget the Chapter number of your course book !... A LOT of initiatives also need to come from the private entities, like customer education, technology enhancements." "That means an extension to the already 3PPP that becomes PPPP : Personal Public Private Partnership" I said. "Good Going... But this model begins with your own safe habits." Suddenly a sense of realization began flowing through me. This conversation had transformed me. My imagination too. Perspectives and Importance of Safe driving in India. The Economic impact. This all was relevant and particular to me. The latent responsibility to drive safe was ignited by the fictitious Panel Discussion. May be the news item last night was playing through me. May be, it was incessant guilt of selfish driving, that seemed like a divine intervention. Importantly, it was appropriate too. "Out of respect for our conversation, I vowed to drive with lowered beam lights, seat belt on and setting aside my cell phones while driving in future." "Thanks. Hope you'd remember the importance attached to defensive driving as well." The voice added, almost as I had thought that it was over. PS: The Author gained immensely on the subjects of severity and magnitude of road accidents in India while researching for this post. safety in India? Please send your feedback/comments through the tab below. Would love to see your footprints. Thanks Sunita. Hope you keep dropping by ! Blog's 1st Anniversary. The Day. For an Age !